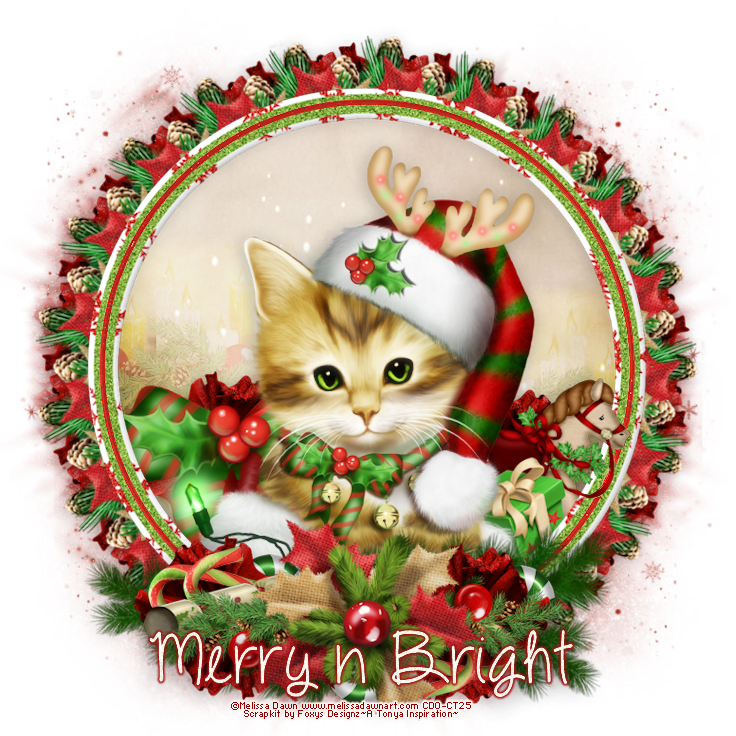 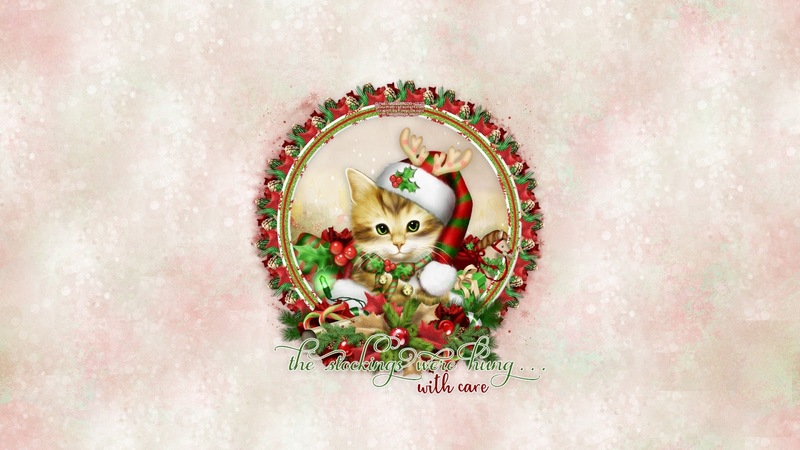 CT Tag featuring the amazing art of Melissa Dawn with a very cute kitty that is in her stocking wrapped up in the lights and the fun festivities of decorating, so very anxious for Santa to make his jolly arrival. The gifts are wrapped, the lights are strung, and kitty is purring in excitement of it all. 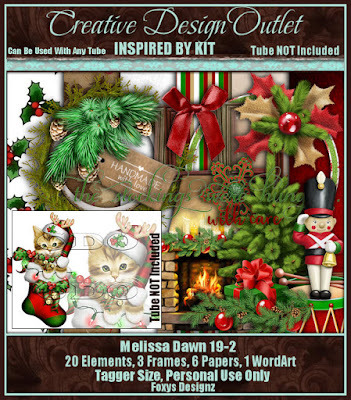 You can purchase this tube here at CDO or the entire package which is just so cute, you don't want to miss any of them here. I paired this up with a wonderful kit that Foxy's Designz made to match this tube, which can also be purchased here at CDO. 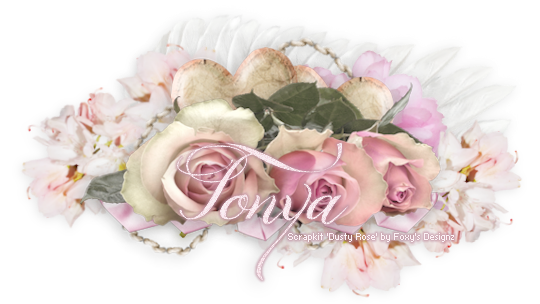 I have also made a set of snags with this tag, which you can grab here, just click on the image to bring it full size and right click and save. Please remember though these may not be modified, they are to be used as-is.